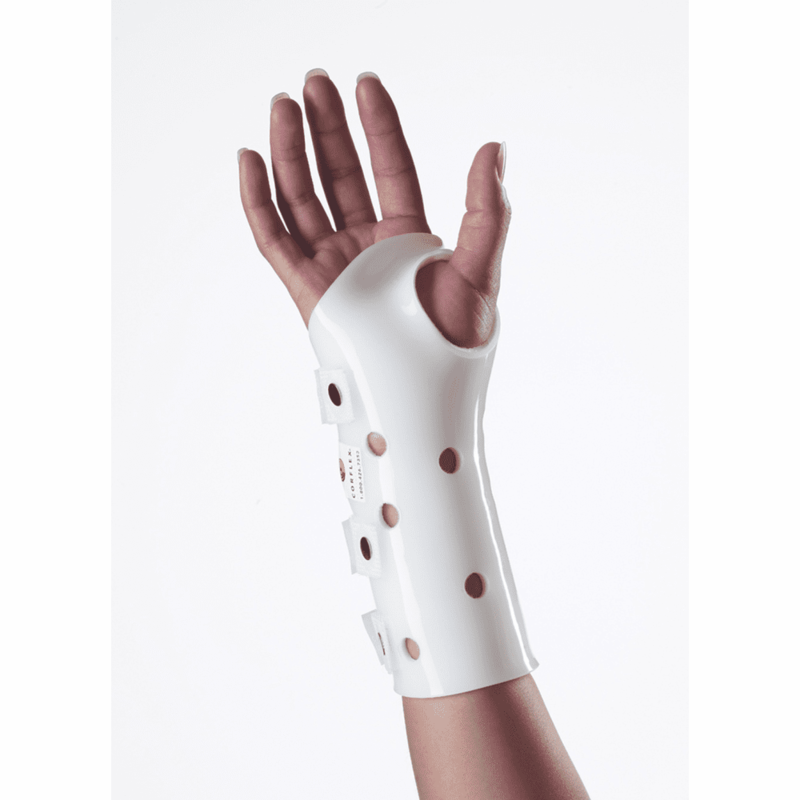 descriptionAnatomically designed to conform to the natural shape of the wrist providing comfortable and secure immobilization. Indicated for immobilization of the wrist following post-operative rehabilitation, stabilization of minor forearm and metacarpal fractures, post-cast removal or cast substitute for long-term use. Constructed of white rigid polyethylene laminated to soft closed cell foam lining; includes two white stockinette under-sleeves.